This is today's enrtry for the DCM daily challenge. Make anything but it has to have lace on it. 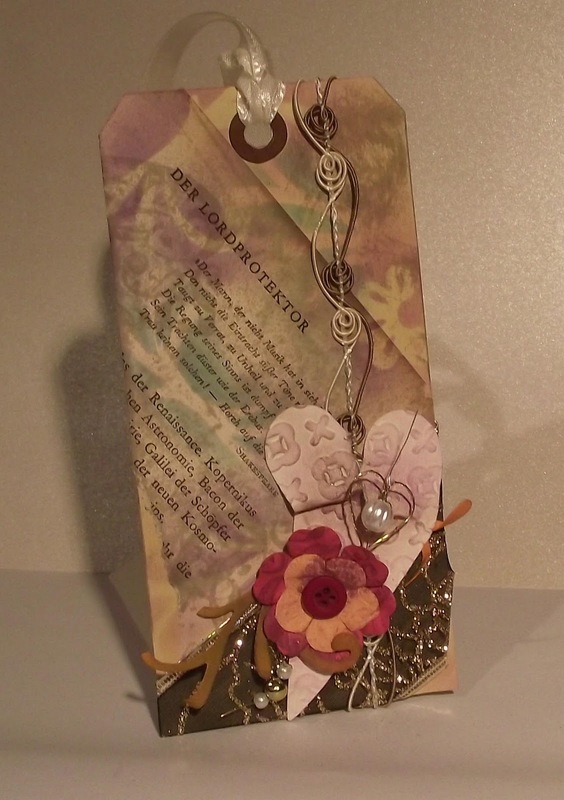 I used a Tim Holtz Tags and Bookplates die for the base and adhered a page from a old book to it. The tag and the page were distressed with Ranger Distress Inks in Pumice Stone and Tumbled Glass. I used some leftover Sizzix cut-outs to ink around to add a bit more depth to the colour. The heart was cut with a Sizzix 'Primitive Heart' die and then run through the Big Shot and embossed with a Cuttlebug Moroccan Screen folder. 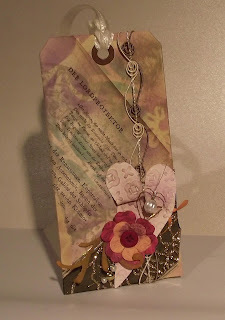 The lace and black ribbon are from my stash and the paper flowers are from Reyher, stamped with the same distress inks. 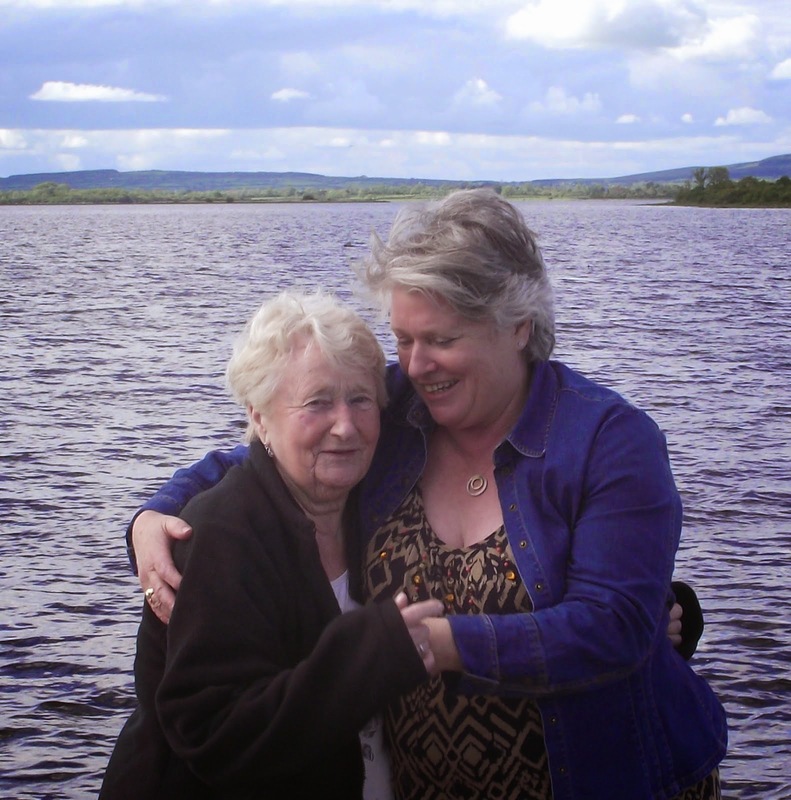 The Gold Heart and Pearl pin come from Daintree Paper in Dublin. This is another first for me: A Tag. I've been a fan of Tim Holtz for a while now, but been a bit scared to try-out a Tag because his and some of his followers are so fanatasic! Anyway here's my first attempt. Thanks for stopping to read my blog. Your time and comments are appreciated.